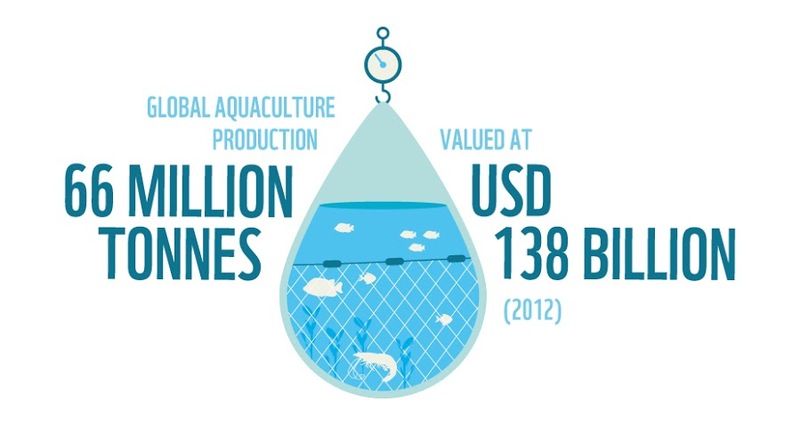 A third of assessed global fish stocks are overfished and this proportion is steadily increasing. And since not all of the ocean's fish stocks have been assessed, this figure may be an underestimate. 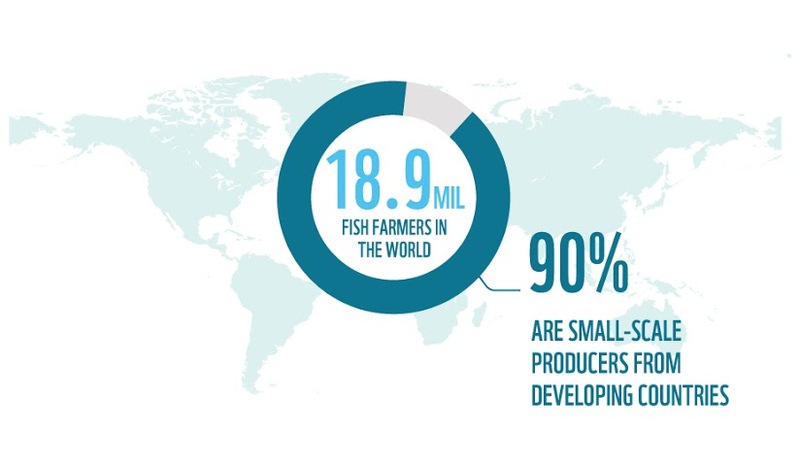 There is an urgent need to work at all levels to drive commercial fisheries towards sustainability while improving the management of the world’s small-scale fisheries and aquaculture practices. For this reason, WWF invests in solutions that work not only for fish and fishers but for everyone – and that means making long-term sustainable marine management the rule, not the exception. 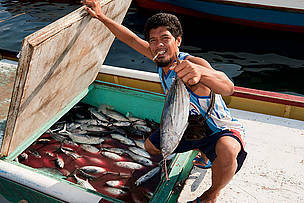 Healthy oceans and fisheries are essential for life and the provision of food, livelihoods and a strong marine economy. For the past 40 years, WWF has invested efforts globally to reverse this decline by sharing our experience and expertise with fishermen, processors, retailers, marine industries and communities to develop lasting solutions. In our priority regions, WWF focuses on what we define as community-based management—an approach that empowers communities to take charge of ocean resources in a way that safeguards their supply, well into the future. This approach is also at the heart of our work with people who make a living from small-scale commercial or subsistence aquaculture. Do your bit for the ocean! 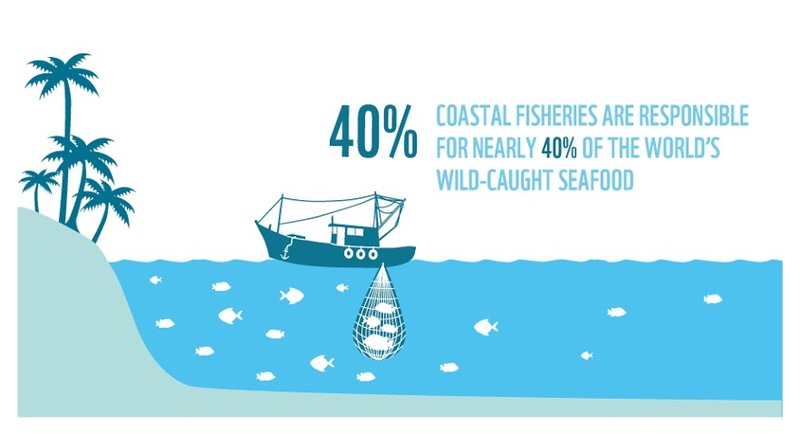 WWF can't reverse the downward trend in fisheries alone. We forge partnerships with organizations that have complementary areas of expertise, such as Blue Ventures and CARE, because by working together we can catalyze bigger impacts. 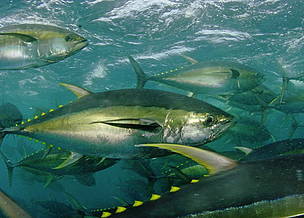 Globally, WWF focuses on reducing the negative impacts of the fishing industry in the world’s most ecologically important marine ecoregions and conserving the most commercially valuable species such as tuna and whitefish. This entails strengthening fisheries policy at local, national and regional levels, and encouraging brands, processors, buyers and retailers to source only well-managed wild-caught fisheries and aquaculture. This includes the advice to only purchase and sell seafood products that can be traced back to their origin and that are recommended as a better choice by reputable certification labels or by a credible seafood guide. We need to change the rules of the fisheries game at the highest level, by advocating for ecosystem-based management including in the high seas, tracking down illegal fishers, finding practical solutions for unmanaged fisheries and defining new business models that will transform the way fisheries perform. Too often, fisheries operations disregard the fact that healthy fish stocks depend on a healthy ocean and responsible management. This is where Ecosystem-Based Management (EBM) comes in, an approach to find new ways to manage fish stocks without harming other species, protecting ecosystems and ultimately supporting sustainable fisheries and the fishers that depend on them. WWF was the first conservation organization to produce an international holistic framework for EBM of marine capture fisheries.